Altra Instinct Running Shoe Review – A running clinic for everyday endurance athletes who are looking for training, nutrition, and maintenance plans that work with their busy schedule. 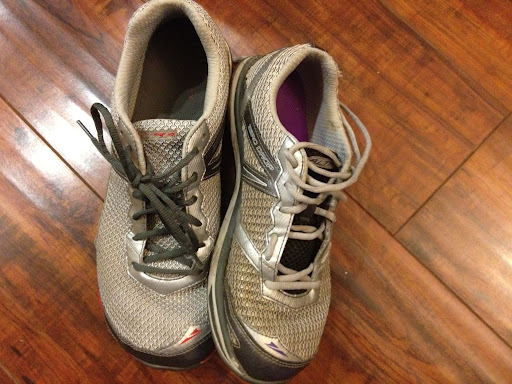 The moment I put on Altra Instinct Running Shoes my feet were comfortable. At the time my left Plantar Facia was acting up and I was looking for help. I had been running in zero drop running shoes for a few years so it wasn’t a new experience, but the Instinct shoes have been the most comfortable so far. I have taken my retired Altra Instincts, cleaned off the bottoms and made them my house slippers. I’ve never done that with any other pair of running shoes. Our wear testers have provided the following report on miles. Even though I love them I do have some wishes for future models. You wont’ be making a fashion statement, but your running friends might think they’re cool and what else really matters? 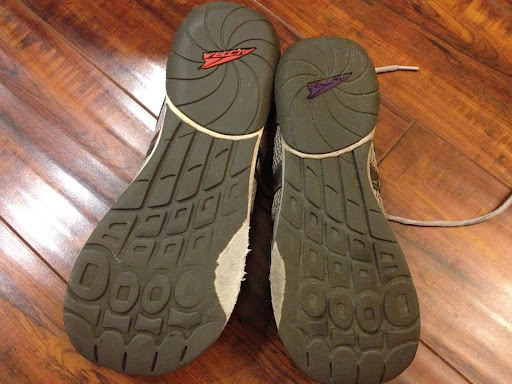 The tongue of the shoe has a tendency to slide over during a run. The rubber on the bottom of the Instincts is soft and comfortable but if you weigh 165 pounds or more don’t expect to get more than 300 miles out of them. I would fully recommend getting a pair of Altra’s which will help you improve your form and stay injury free. They run around $100. Shoe on left made it 300 miles. Shoe on right made it 450 miles. We’ve had four pairs of Instincts in our family and our teenagers have loved them too. Even though they won’t be winning any fashion awards they have an odd cuteness about them and most importantly they help you run with better form. Our kids noticed this on their first run and quickly became converted. Our mid-foot strike first hits on the outside which was the first area to wear out. 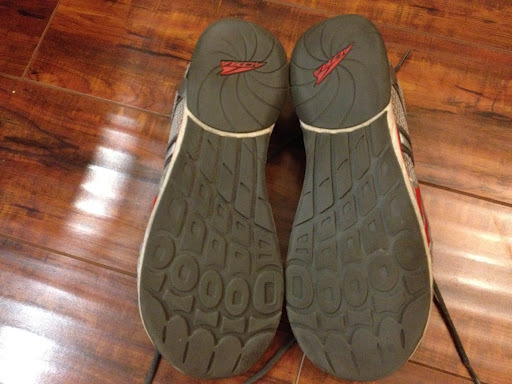 My son’s shoes have 445 miles on them and are still going strong thanks to his more level mid-foot strike.